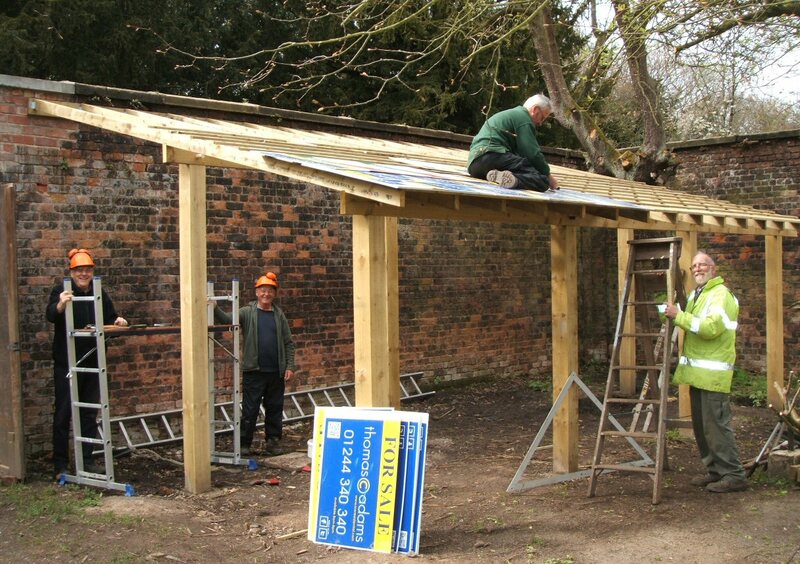 The old Bodger’s shed located just by the Visitor Centre in the walled garden had become unsafe and was demolished with unnerving ease. Plans for a new robust and eco-friendly replacement were draw up. 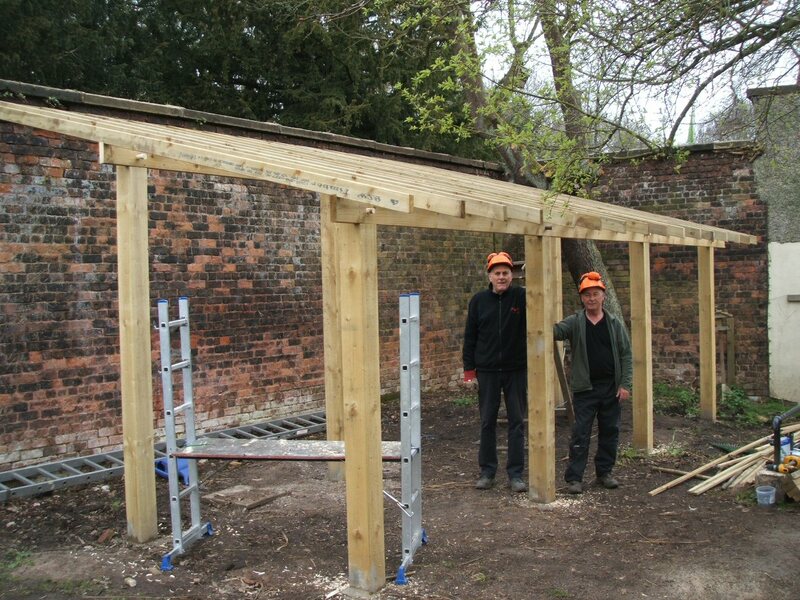 This would be timber framed lean-to with both enclosed and open-air working areas. 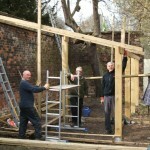 Work on the construction has now started and, with the aid of the regular volunteers, is progressing well. 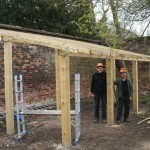 The main support pillars are of 6″x6″ timber and are set in concrete in deep holes. These are linked by substantial rails with seventeen 4″x2″ rafters bridging across to the wall. 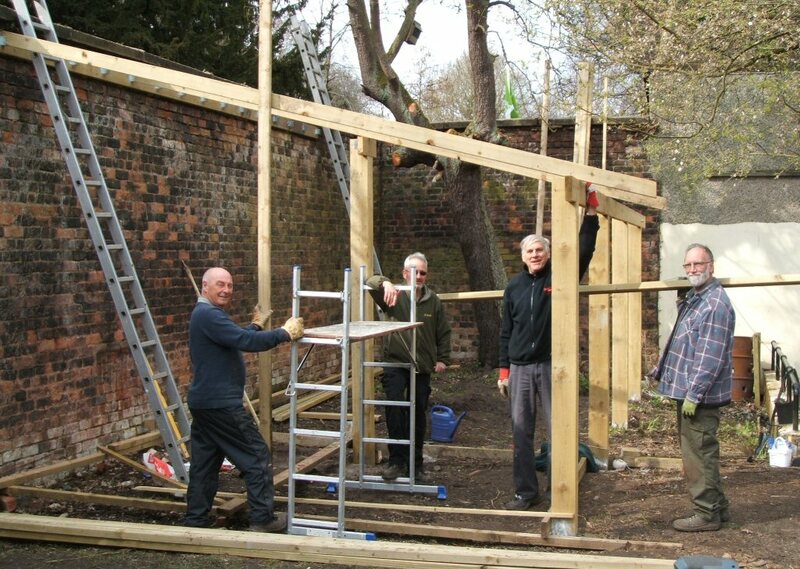 This main structural frame was completed on 2nd April 2014. 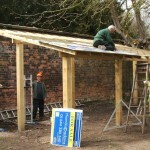 The next phase will include fixing the roofing battens and obtaining suitable materials for covering the roof. The current plan is to recycle estate agents ‘For Sale’ signs and use them as tiles.